Success is subjective. 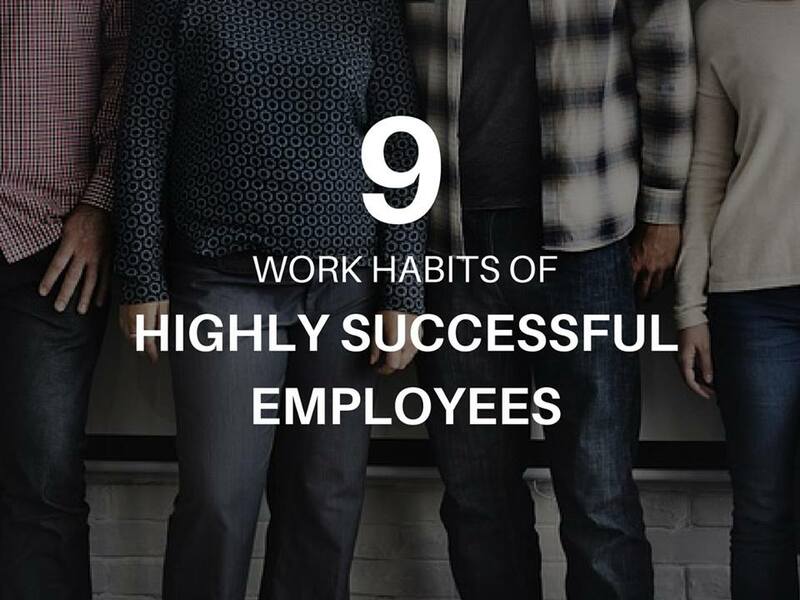 It can refer to many things but there are common denominators that make employees highly successful in their careers. 1. LOVE THE WORK YOU ARE CALLED TO DO. You won’t progress in your career if you do not love your work. I’ve seen people who’ve tried to work in an industry based on its monetary value, but later on in life, failed to climb the corporate ladder. The first step to winning in the marketplace is to find your own niche. It’d take you a lot of risks to shift to that career, but that’s far better than having regrets after a decade or so..
Track significant events in your entire life. Be aware of your strengths, talents and skills and see what industry you’d perform best at. 2. CONSTANTLY LEARN NEW THINGS. Successful employees have a growth mindset. They strive to work to learn new things that’ll help them advance their careers. Attending in-house and public seminars and workshops related to their industry or knowledge that’ll develop their character and personalities. Finding and learning from industry mentors/coaches (either he’s a former boss or a speaker in an event) and looking for new opportunities (e.g. reading books, e-learning) to hone one’s skills suitable for the current and next job. 3. COMMUNICATE PROPERLY TO PEOPLE. If you can’t speak for yourself and for the team, you can’t win in the corporate place. While there is politics involved in the office, proper communication with the higher-ups about your aspirations, needs and concerns is vital to your success. Respecting your leaders despite their attitude towards their subordinates can build up your character in the long run. Though DIFFICULT to apply, learning how to manage your emotions can save your career. Ask quality questions to get quality answers in your meetings. Proper communication isn’t just about sharing your thoughts, but also deep listening and asking questions that are deemed important to achieve the team’s agenda. Industry experts are called such because they have a larger view of the industry than anyone else. Be proactive at gaining new knowledge about your job, your organization’s process, your professional field, and your industry. While this might sound like overconfidence or bragging, know your where you stand. Don’t take leadership opportunities for the sake of showing off, but rather jumping in, learning, and taking new your career to new heights. Performance reviews only happen once, twice or every two months (if you’re fortunate enough). While you can wait for these events, it won’t hurt if you keep track of your own sales numbers and project results. Have a folder of files that allows you to see your work performance and gives you an audit of where you are now at work and how you can progress to achieve your career goals this year. In some cases, if you’re not allowed to see your results, you can ask your direct boss to audit your work performance. Find ways to know how you can improve you so you can always win at work. 6. ACHIEVE GREAT OUTPUT DAILY. Work smart and work hard. Identify one or three tasks that will give you the 80% high-quality results of work. Data shows your work performance. Even if you check your tasks in your to-do list, if you haven’t met your individual KPI’s and/or contributed to your team/department/company’s goals, you will be left behind. Achieve great output daily by being focusing and executing your daily Most Important Task. 7. HUMBLY ACCEPT CRITICISMS AND FEEDBACK. Be humble to receive feedback for your work performance either from your boss or your colleague. Filter the feedback based on what they said and what’s right and wrong with the feedback. This allows you to figure out how to you can take it seriously and professionally without taking it personally. Process it properly in your mind so you can list down actions you have to take after receiving feedback. Always remember that great feedback and constructive criticisms should make you a better employee. Strive to meet the deadline on or before its due time. Don’t be involved in gossips about other employees, company and boss (it won’t help you either to progress). Stay focus 100% on your work (it’s your responsibility if you don’t succeed). Arrive 1 hour before scheduled meeting. Prepare your slides and your approach with your client/boss. Stay professional. 9. LEAVE A LEGACY AT WORK. Successful employees inspire others to become great as well. Coach one person who needs mentorship. Despite your busy schedules, you can leave a legacy behind by spending 15 minutes or 30 minutes sharing your experience and expertise to someone who needs it (with or without monetary value involved).